The first day of summer at the Jersey Shore kicked off Thursday with over 250 people, mostly children, splashing in the pool at Breakwater Beach Water Park. The young participants were there to celebrate more than the end of the school year. Each participant got the chance to help break a record — the Guinness World Record for the largest swimming lesson held simultaneously in multiple locations. 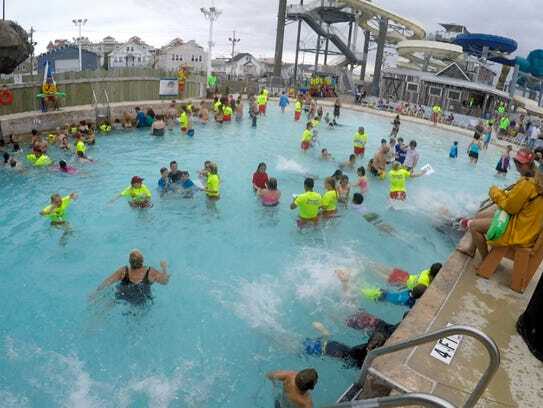 Breakwater Beach has participated in the World's Largest Swimming Lesson for seven years, working in tandem with 16 other New Jersey water parks. The event isn't just about setting records though; it also is a splashy way to advocate water safety and drowning awareness across the globe. 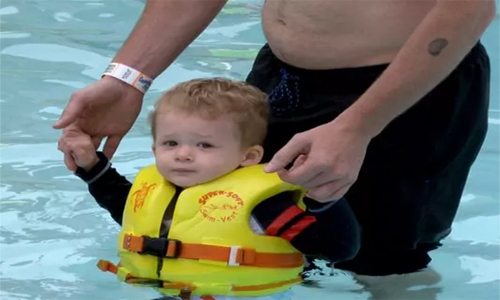 Worldwide, drowning is the second-leading cause of unintentional death for aged 1 to 14, according to the World Health Organization. Frequent risk factors include children left unsupervised, alcohol use, or tourists being unfamiliar with certain risks near water. In New Jersey, between 2011 and 2015, 274 people lost their lives to drowning, according to the state Department of Health. In 2017, New Jersey lost at least 20 lives to accidental drowning in pools, rivers, lakes, and in the ocean. Many incidents in New Jersey have involved the death of unguarded swimmers. This year's event boasts over 600 locations in 29 different countries including Mexico, Australia, Brazil, the United Kingdom and South Korea. More than 41,000 swimmers in 27 countries participated in 2017. The worldwide event has held the world record since 2014. Former U.S. Olympic swimmer and Middletown resident Tom Wilkens attends the event in Seaside Heights every year. He walked alongside the lazy river with his 2000 Summer Olympics Bronze Medal in hand, interacting with the young swimmers, pausing for photos and asking if they wanted to try it on. Most children and families arrived at the event about an hour early, checking in at door. Registration spots for the event filled up within five days of opening, according to the Breakwater Beach marketing department. About a dozen lifeguards dashed into the pool sporting neon yellow “World’s Largest Swimming Lesson” t-shirts and faded red boardshorts, guiding groups of swimmers to begin the lesson. “It is never a bad thing to have too many (lifeguards)," said Maria Mastoris, 29, Breakwater Beach marketing director. 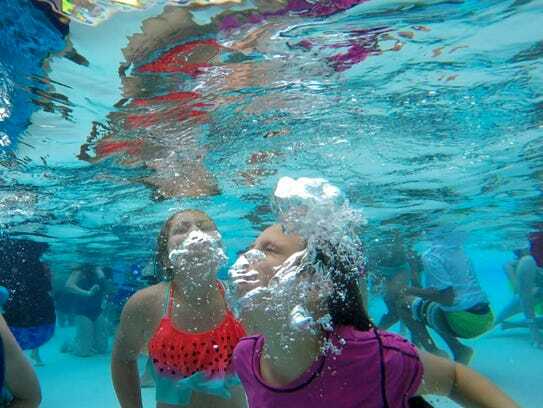 Each lifeguard supervised a small group of young swimmers, the first part of the lesson: "blowing bubbles" with their heads submerged to learn proper breathing technique. Lou Cirigliano, director of operations for Casino Pier and Breakwater Beach, directed each part of the lesson over a microphone system, delivering tips on water safety. He emphasized that water safety is a responsibility for the whole family, and encouraged parents to "watch the children as if you are their lifeguard." The free instruction, spanning less than an hour, covered ground including: how to frequently come up for air, different swimming strokes and treading water. "It just teaches you about good stuff that you need to know," said Richie Riotto, standing beside the pool after the lesson, his smile embellished with beads of water on his face. "It's a fun place for all." Participants and organizers alike hope the instruction will pay dividends over the summer and beyond. "Safety is always the priority," said Mastoris. “Giving education and informing (the kids) in any way possible, that’s the most we can do."